The 10th Anniversary Snowflake Edition of the New York Times #1 Best-Seller! 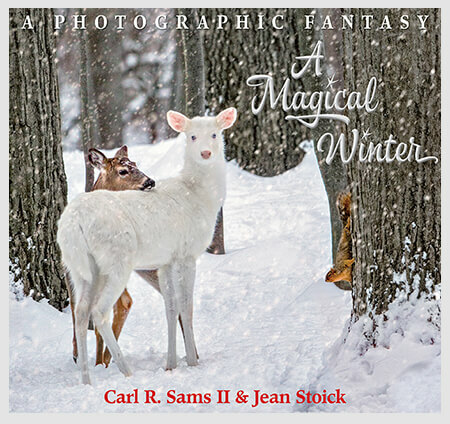 Stranger in the Woods is a photographic fantasy that tells how the furry and feathered friends of the forest respond to a mysterious visitor. 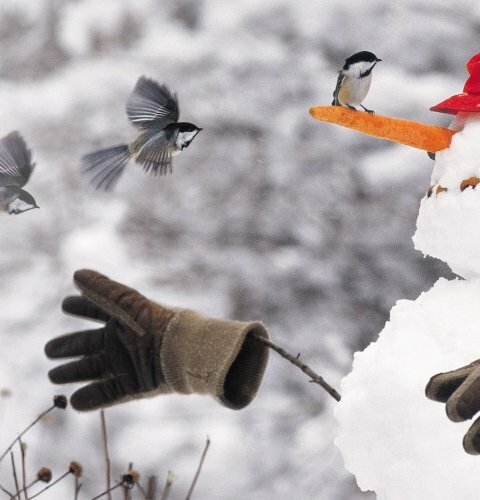 On the national and New York Times best-seller lists during the winter for 5 consecutive years, Stranger in the Woods has warmed the hearts of children ages 1 to 100. Special for the 10th Anniversary Snowflake Edition: Kids (and grown ups) will love watching the deer get his favorite treat on the cover of this collector’s edition of Stranger in the Woods. 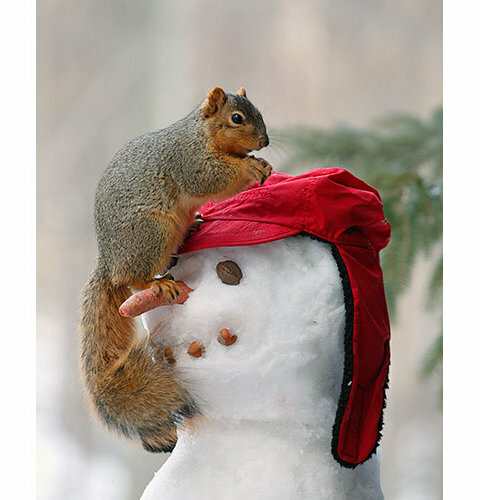 Watch the deer pull the carrot nose right off the snowman. 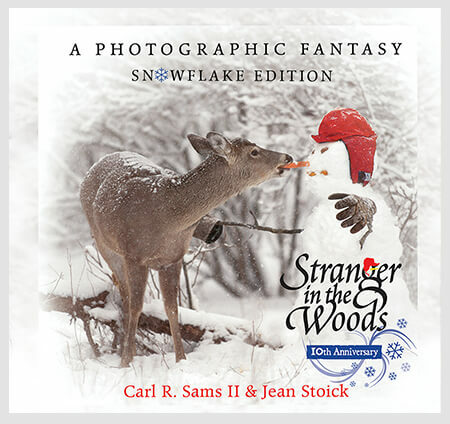 With its 3D lenticular design, Stranger in the Woods 10th Anniversary Snowflake Edition is like looking into a snow globe and the image actually moves! Warning: It is HIGHLY addictive! A New York Times #1 Best-Seller & Benjamin Franklin Award Winner, Stranger in the Woods is a photographic fantasy that tells how the furry and feathered friends of the forest respond to a mysterious visitor. On the national and New York Times best-seller lists during the winter for 5 consecutive years, Stranger in the Woods has warmed the hearts of children ages 1 to 100. Educators and reading specialists treasure Stranger in the Woods and welcome it into their classrooms. 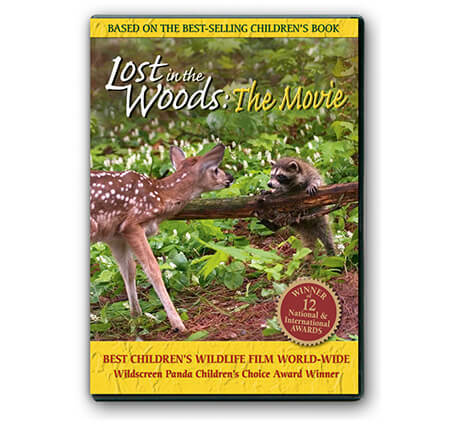 Stranger in the Woods is Winner of 10 prestigious awards including the Mom’s Choice Award, Benjamin Franklin Award/ Best Children’s Picture Book, and Kind Award-National Humane Society. The coveted Benjamin Franklin Award recognizes excellence in independent publishing. “Recipe for a Snowman” included in back of the book.